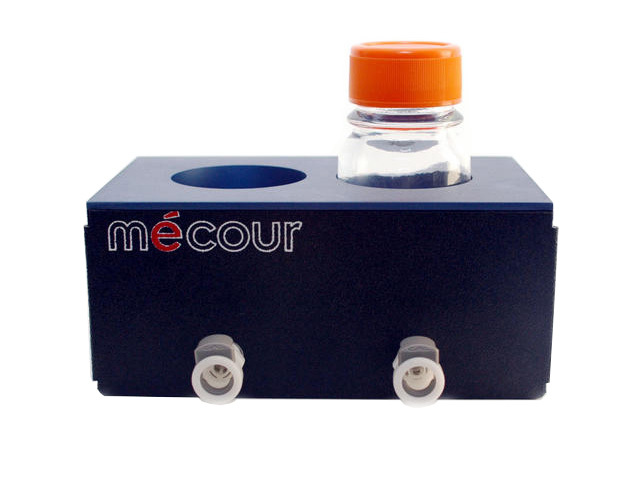 MeCour thermal blocks will accommodate any size reagent and media bottle ranging from under 100mL up to 36 liter bottles or vessels. Purpose for designing such thermal blocks is to provide uniform temperature to reagents and media as well as to the plates that such media is transferred to. 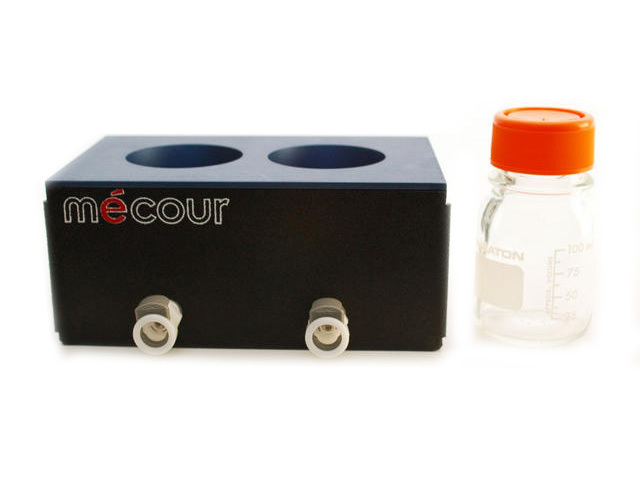 All thermal blocks will accommodate different sized and number of reagent or media bottles to suit your applications, i.e., 100mL and 500 mL in same thermal block.